Pregnancy and early parenthood is an exciting and challenging time, when it’s good to know there is expert advice on hand to help take care of you and your baby. Since 1984, AVENT has been designing and manufacturing products that are inspired by nature and have been developed through extensive research and clinical trials. Now, as part of the Philips Group, the new Philips AVENT will continue to produce innovative solutions that make feeding and caring for your baby’s health and safety easier. 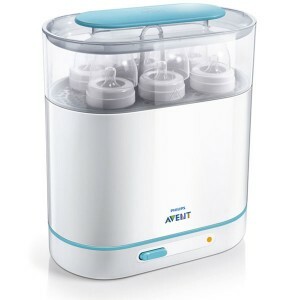 The Philips AVENT StoryIn 1984, the AVENT brand was born with the introduction of a baby feeding bottle that set the standard for feeding bottles worldwide.It was the owner of the company, Edward Atkin, who first noted how standard feeding bottles were simply not up to the task. The bottle teats were hard, long and narrow and the bottles awkward, unstable and difficult to fill. Edward set about designing a feeding bottle that would become the next best thing to breastfeeding. What he produced was the best designed, best engineered baby feeding bottle in the world. The Philips AVENT bottle has a wide neck and base for easier cleaning and filling. Its teat was the first to be made entirely of odourless, tasteless silicone; soft and broad in shape, it was as close to nature as he could make it and has a unique venting system to help reduce colic in the newborn. 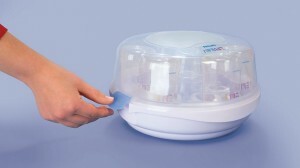 So it’s no surprise that more mothers choose Philips AVENT than any other feeding bottle. From this point the Philips AVENT brand went on to rethink the design of many baby feeding products. In September 2006, Philips, a global leader in lifestyle, healthcare and technology, was united with AVENT. These two companies, both with histories of innovation, are a perfect fit. Philips, in its commitment to promote well-being, develops lifestyle products that make good health easier to achieve. This commitment works in tandem with the AVENT goal to create the highest quality baby care and feeding products in the world. Working together, Philips AVENT can offer simpler lifestyle choices that make caring for your baby even easier. No matter what choices you make concerning the care of your baby, we strive to remain the best source for products that support those choices. So we invite you to re-visit the website often, to see what’s new at Philips AVENT. We hope you are as excited as we are about the changes ahead. Choosing Philips AVENT means you have the assurance of superior quality products, designed with you and your baby’s needs in mind. Through extensive research and clinical trials, Philips AVENT products work effectively together to promote baby’s well-being and give you the flexibility to care for a growing baby. The Philips AVENT superior quality products help to support the choices you make, whether breastfeeding, bottle feeding or combining the two. Then, as your baby grows, their interchangeable design features mean they can be adapted to meet your baby’s developing needs. We are here to guide you through all these wonderful changes.